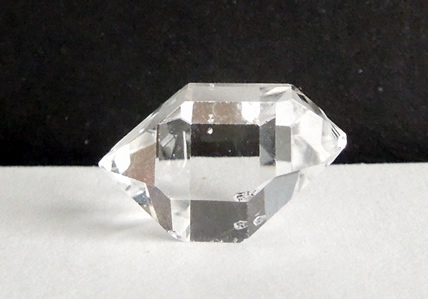 This water clear Herkimer Diamond has outstanding shine and a traditional shape. A tiny geometric key mark near one tip shows in the images below. 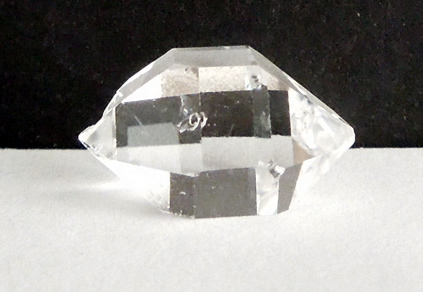 Two bizarre circle inclusions can be seen in the bottom images and add authenticity to this raw quartz crystal. Some Herkimers seem camera shy and after several attempts, this is one of them. The images don't do it justice. 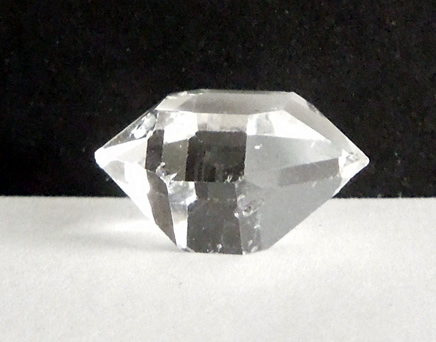 Herkimer Diamonds are double terminated quartz crystals that are unique to the Mohawk Valley, New York state. 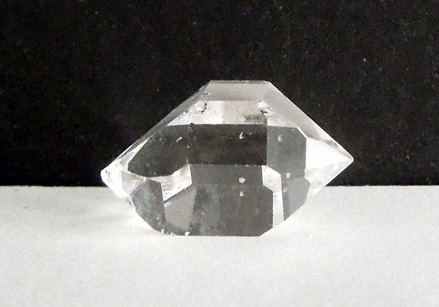 Not much is know about native uses of the Herkimer's; but surely they were considered special. No doubt, the Iroquois and Mohawk Natives who first roamed Herkimer County, found them laying loose in the soil. Evidence of Natives using the crystals for tools and weaponry has been found. Arrowheads carved from the diamonds have been excavated at some burial grounds. It would seem Native Americans would have used the crystals to adorn themselves, but there is no evidence of this. 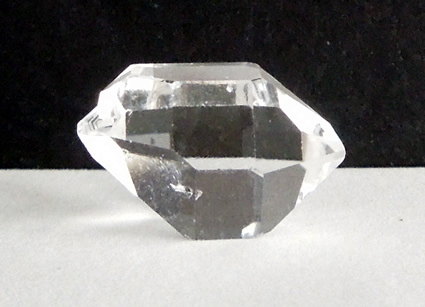 Perhaps, they believed the quartz crystal gemstones to be “spirit stones”, as did many of the southern tribes. 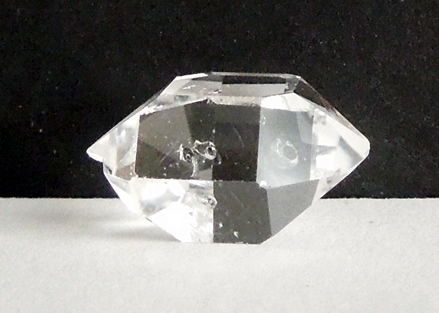 Water clear Herkimer Diamonds are popular today for jewelry, collectors, and those who are interested in the metaphysical.